Home » इस बार छोले पालक के साथ बनाये, घर वाले तारीफ करते नहीं थकेंगे । Spinach Chole Special Masala Recipe . 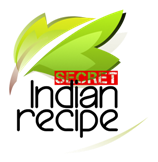 इस बार छोले पालक के साथ बनाये, घर वाले तारीफ करते नहीं थकेंगे । Spinach Chole Special Masala Recipe . Palak chole – north indian style delicious curry made with spinach and chole (white chickpeas). chole masala is another unique recipe. The palak chole recipe is like the north indian chole curry and just has the addition of spinach. basically an onion-tomato paste sauted with spices to which the spinach and then the chickpeas are added. I am inspired this recipe by halwai style chole. This is a healthy dish obviously due to the combination of spinach and chickpeas. together with rotis or rice it becomes a complete meal. Please follow me on my social media profiles to get more updates and stay in touch.